Free Previews Available In the Stores! Your Guides to Better Songwriting! 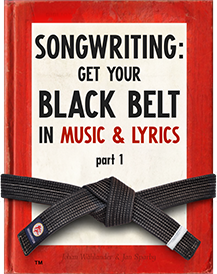 Let The Black Belt Series release your creative force, and help you turn your ideas into memorable songs! Also: read more on our site, about the books and about our songwriting camps. 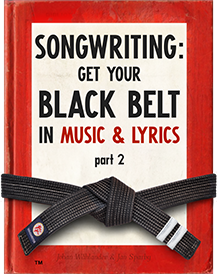 ...and more – 20 chapters packed with songwriting! Psychology: Get your listeners hooked! If you are planning to read the books on a Mac or an iOS device: buy the Apple Books version! (formerly known as iBooks). Kindle books does not work well on iOS devices or Mac computers (no support for interactive features). Read more on our site, about the books and about our songwriting camps.